Shambray: 40 Ways to Slash Spending…NOW! 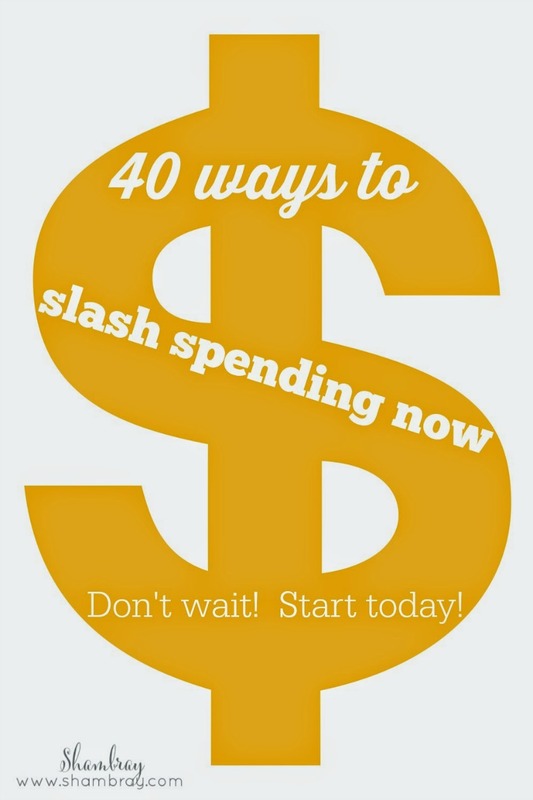 40 Ways to Slash Spending…NOW! This post contains affiliate links, which means that if you click on some of the product links, I’ll receive a small commission. My husband and I are trying to get COMPLETELY out of debt. We have worked hard to make a good living, but we want to get rid of all the debt that can bring us down. So we are trying to make the most money, but at the same time becoming more frugal so we can slash some spending habits. I don't know about you, but I go through times that I am completely fine not spending a dime. Then I hit a wall and I want to spend so much money. I don't get it, but it has happened to me so many times that I recognize the pattern. I hate it, but it is what it is. 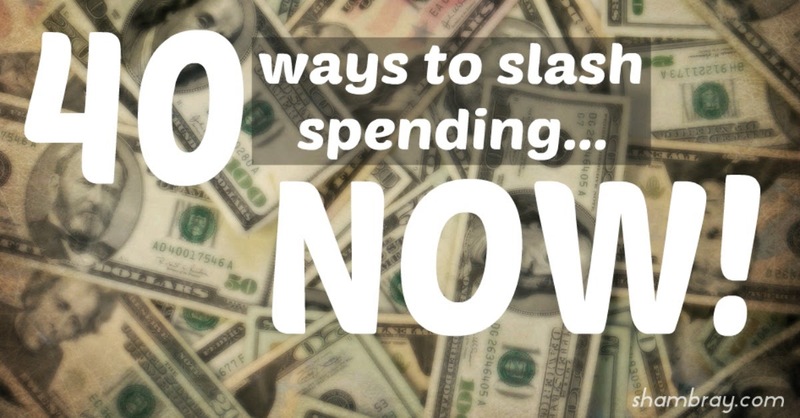 I am working on that, but in the mean time I have come up with a list for myself and hopefully for you as well of ways I can slash spending right this second. Some of them I have been doing for years and others a new to my list. So are you ready to see my list? -Whether you are going on a trip somewhere farther away this summer or doing a “Staycation” around your home there are tons of deal sites to check for travel deals. Plan your trip around these deals and you will save LOADS of money and you will still be able to go have fun! -Travel deal sites I currently like: KSL deals, Living Social Escapes, Groupon Getaways. Also, The Budget Diet puts up her Week’s top 10 Budget Travel Deals every Saturday; that is a great resource as well. -Invest in a programmable thermostat. We bought the Nest when we moved into our new house and it saves us so much money. If we forget to change the temp before we leave the house we have an app that we can change it from anywhere.